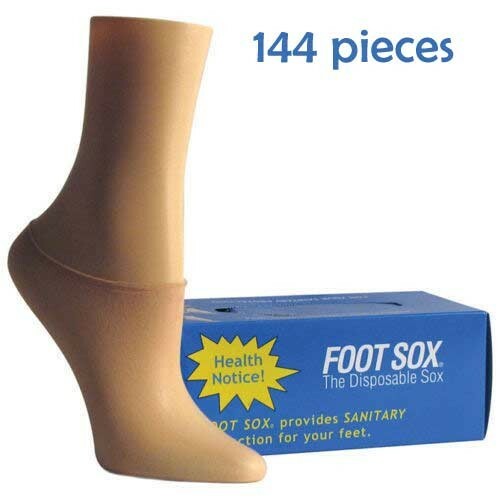 1 Box Beige Disposable Foot Sox - Try on Socks - Footies - Peds for Women (SHIPS FREE IN USA) in Insoles and Pads is made for Women and comes in Beige. 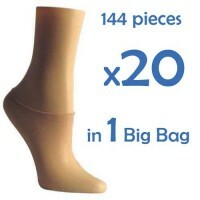 It is marked as FootSox and weighs about 0.25 lbs. THIS ITEM SHIPS FREE TO CONTINENTAL UNITED STATES.